Not to be so precious about my work. Posting stuff that I wasn’t that happy with was a bit hard at first. But i’m getting over it. 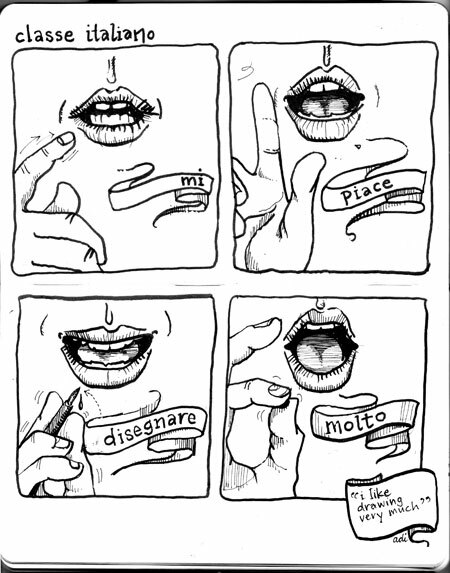 I really like the one with the mouths and hands (day 18), and the grizzly dream (day 14) which came to me quite spontaneously after a real live nightmare. I like doing autobiographical stuff like that. 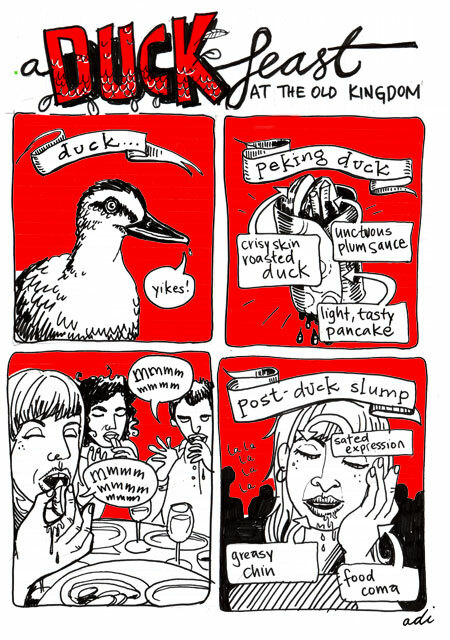 I least like my final post, about eating duck. It’s really sloppy and it fails to convey what i had wanted it to. Certainly do. I need to create some some kind of self-enforced deadline and stick to it. Not quite sure how yet. Keep it up! Can i do it again? Couldn’t post on the 22nd as I was about as far away from a computer as you can get, walking up Victoria’s tallest mountain, the mighty Bogong. These are some sketches from the trip for rehab… the only paper i had was my diary, hence the diary pages. So this is a dream I really had on tuesday night. I’m going to Canada later in the year and have been having lots of conversations about bears…… yikes. I’m not particularly happy with this, but i’m trying not to be precious about my drawings at the moment and let people see the not-so-great stuff and the f*@k-ups… i’m also trying to get over my fear of drawing people in their natural habitat. 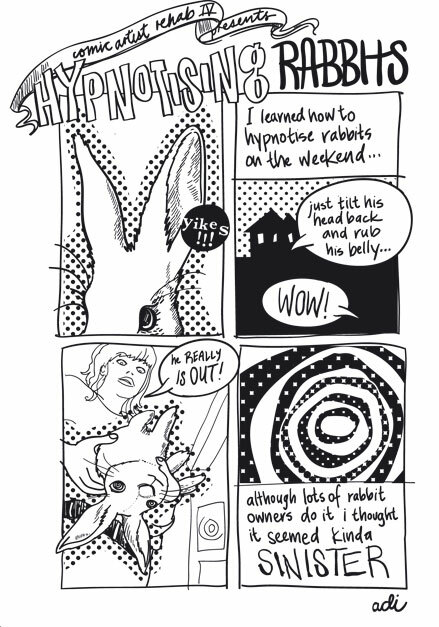 My name is Adi Firth and I have been illustrating and drawing comics since i was a teenager. I’ve been keeping an illustration blog for the last year but have been getting slack, i need a kick in the arse, and that’s why i’m here in rehab. 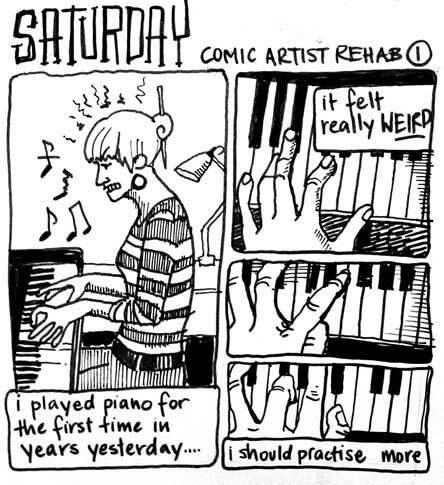 Comic artist rehab is totally cool, i’m rather embarrassed that it took me so long to hear about it…duh! You are currently browsing the archives for the Adi Firth category.